In Treasure Island, Robert Louis Stevenson writes about treasure, stoaways, and adventure. In this passage, Jim is on the island where the treasure is supposed to be hidden. He is running away from the pirates that have captured his ship. Here he tells of meeting a strange person. 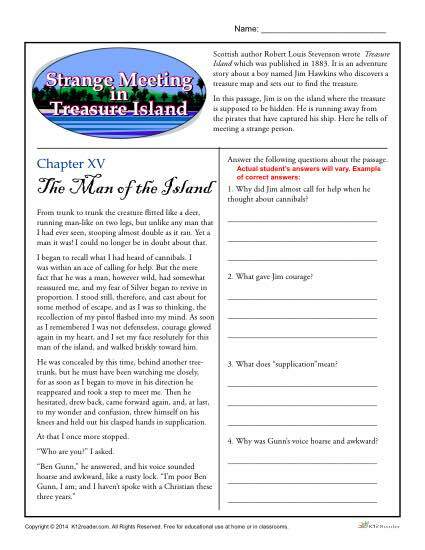 Print out this free worksheet and have your students read the passage and answer the questions.